4thletter! » Blog Archive » Oh, Grant. Thou hast cleft my heart in twain. Oh, Grant. Thou hast cleft my heart in twain. Greame McMillan at Io9, has quoted Grant Morrison as revealing that the Pirate Batman we saw was only concept art, and not the center of a story. I’m heartbroken. That art was incredible. Batman, staring out of the page, daring you to make fun of his puffy shirt-cuffs and tri-corner hat. But I can let that go. I can let everything go. It’s funny, the persistence of hope. Even now that I know there’s no chance, some part of me cradles the flickering hope that Batmanderthal will be in the comics. I don’t know how he would go about serving justice pre-bronze age, but I know it would be fantastic. Just concept art? Say it ain’t so, DC. Say it ain’t so. Tomorrow, the DC Christmas Special. The day after tomorrow, Batgirl 5. Today? Oh my god, this. Harley’s corset was just the beginning. 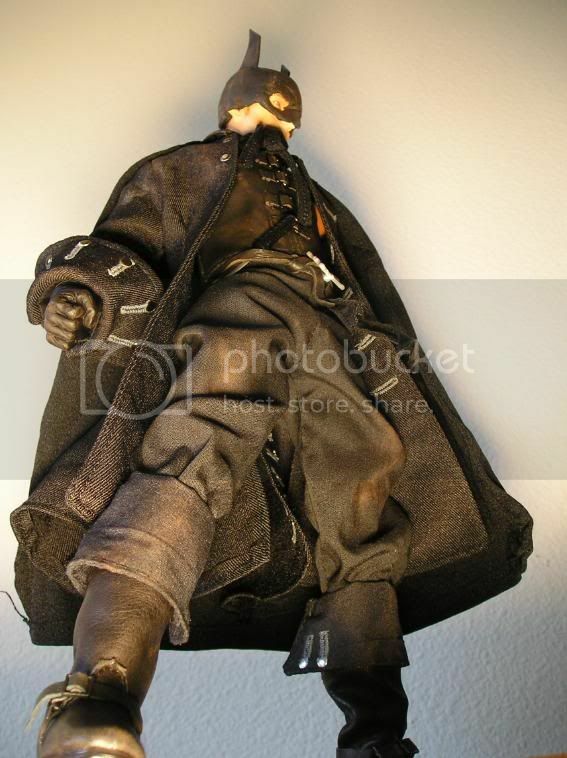 at least you can buy the action figure. so all hope isn’t lost. I still want to see my vision of a powdered wig-wearing Batman come to pass. @Munch: That’s beautiful and terrifying. 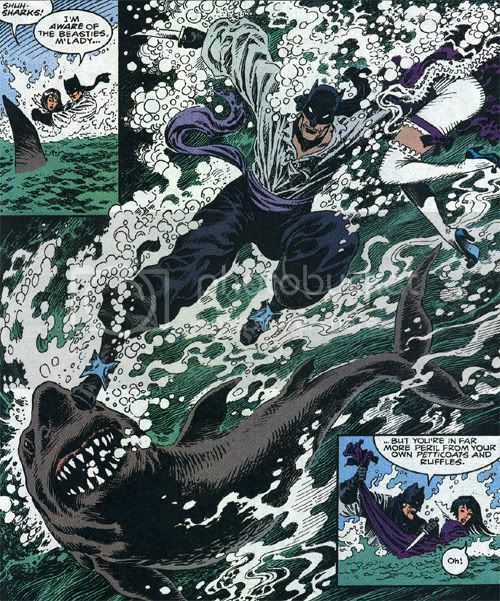 @edc: Modern Batman actually did Pirate Batman one better by *punching* a shark, once.